It’s a tale as old as time: A group of kids sees a movie they like and spends the next seven years devoted to painfully recreating it shot for shot without any real training, budget, or adult supervision. Wait, that’s not an age-old tale at all! But it is an interesting true-life story of a group of Mississippi kids who banded together to remake their own version of Raiders Of The Lost Ark. Now, in celebration of a new documentary being released this month on the project, a new video has been released that highlights how close those kids were able to approximate Steven Spielberg’s vision. 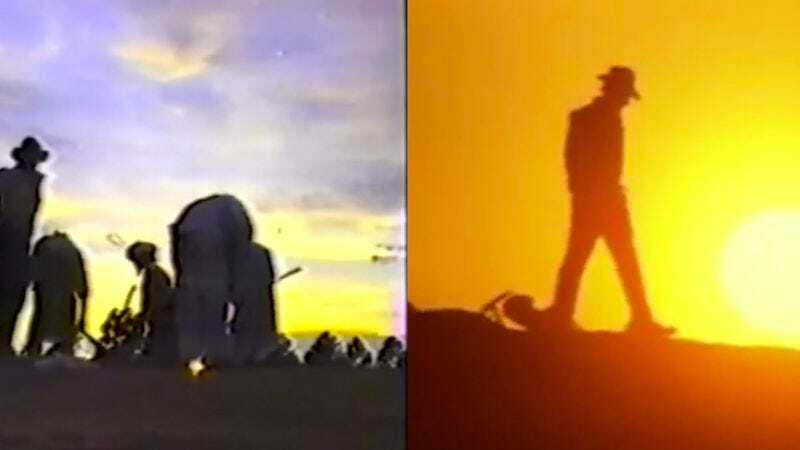 Drafthouse Films has compiled this side-by-side comparison video that uses footage from the version made by Jayson Lamb, Chris Strompolos, and Eric Zala to recreate the original film’s trailer. It’s impressive how close the ramshackle production is able to get to the Indiana Jones classic, with most of the shots and blocking almost identical (except for the remake being populated by child actors using their parents’ houses as sets). The video is a fun way to introduce people unfamiliar with the story to the concept of the remake that this group of enterprising young filmmakers produced. Raiders! : The Story Of The Greatest Fan Film Ever Made will be released later this month with more information on how the production came together and all of the drama between the filmmakers. For now, you can bask in the heartfelt cheesy goodness of watching children imperil their lives in pursuit of fortune and glory. Well, maybe just glory.